Russia’s Federal Security Service (FSB) has prevented terrorist attacks in Crimea that were planned by the Ukrainian Defense Ministry’s intelligence agency, the FSB said. The Main Directorate of Intelligence of the Ministry of Defense of Ukraine (HUR MOU) was preparing to target the Russian peninsula’s critical infrastructure, the FSB announced on Wednesday. The infiltrators also planned to blow up a highway in the region at the time motorcades with local officials and federal authorities would have been driving through it, Rossiyskaya Gazeta reported. A group of infiltrators was discovered near the town of Armyansk in northern Crimea near the Ukrainian border in a special FSB operation over the weekend, the agency said, adding that fire was exchanged as the terrorists were being apprehended. FSB received a warning from Armyansk locals, who had reported on some suspicious people in military uniforms in their town, Rossiyskaya Gazeta said. 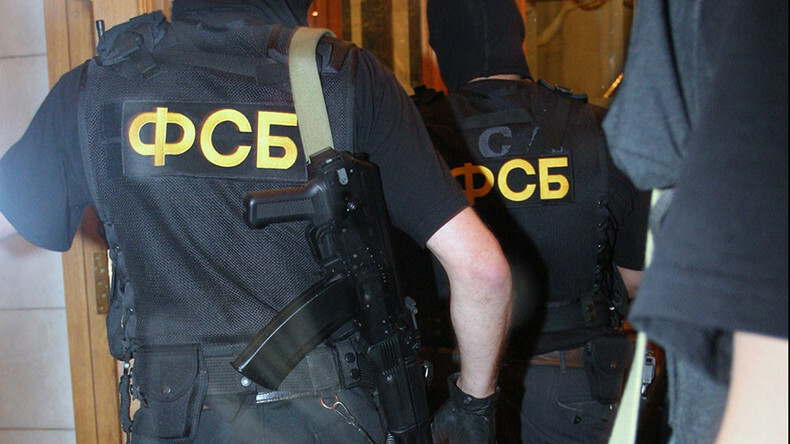 Having responded to the call, an FSB task group detected some 20 people in the area, who were loading explosives and weapons from their hideout. Once the suspects noticed the Russian security forces, they immediately opened fire, shooting to kill, the newspaper said. One FSB officer was killed, while at least one infiltrator was shot dead and several others injured when the officers returned fire. 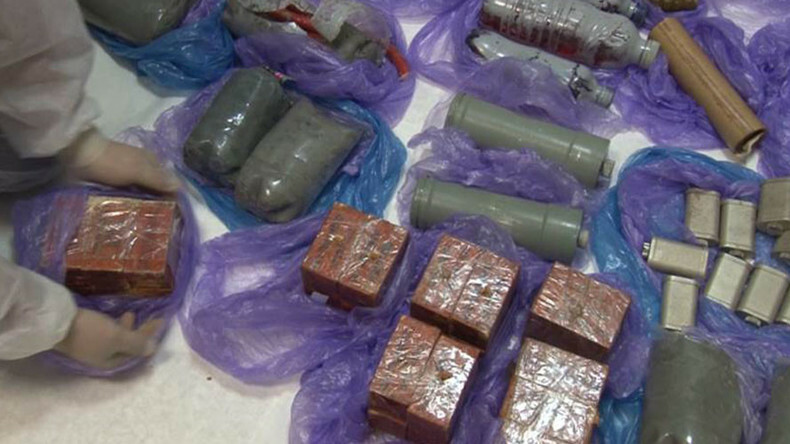 Twenty home-made explosive devices equivalent to more than 40 kilos of TNT, as well as ammunition, shells, and other weapons used by the Ukrainian Army’s special forces were discovered at the scene. 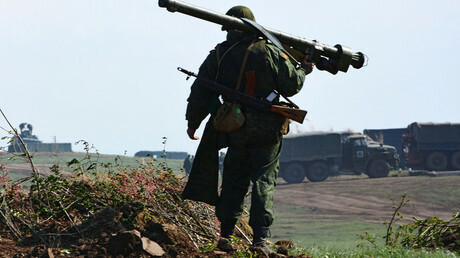 Two more attempts by Ukrainian raiding and terrorist groups to breakthrough were prevented by Russian forces on Monday. Kiev’s armored vehicles provided covering fire for the groups from the Ukrainian side, the FSB said, adding that one Russian serviceman had been killed in that operation. The suspected Kiev agents attempted to cross the border through a swamped lake of Sivash, Rossiyskaya Gazeta explained, saying that all overland areas connecting the peninsula to the mainland are thoroughly guarded by Russian border officers. A network of agents from Ukraine’s chief intelligence directorate has been uncovered in Crimea, according to the FSB, which said it included both Ukrainian and Russian citizens that provided assistance in preparing terrorist acts. Those suspects employed by Ukrainian intelligence are now giving their confessions, the FSB reported, adding that the captured group includes one of the organizers. A criminal case has been opened and additional covert and investigative activities are being conducted in the region. 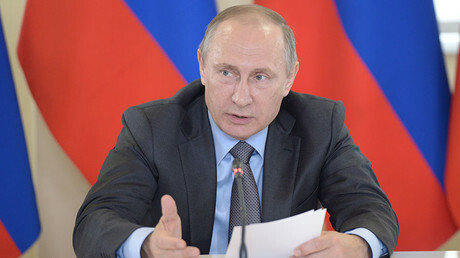 The thwarted acts of sabotage and terrorism were aimed at destabilizing the social and political situation on the peninsula ahead of both local and federal elections, the FSB said in its statement. Ukraine’s General Staff has said the reports of groups raiding Crimea are provocations. Last year, electricity supplies to Crimea were cut off after a group supposedly led by several Ukrainian politicians used explosives to down a pylon in Ukraine’s Kherson Region. Radicals from the extreme Right Sector Ukrainian nationalist group and representatives of Crimean Tatar nationalist organizations continuously blocked attempts to restore the power line. About two million Crimean residents were left partially or completely without power, prompting the Crimean Republic's authorities to pass an address on to the United Nations, asking it to recognize Ukraine’s “energy blockade” of the peninsula as violation of basic Human Rights and genocide.